functions that Digital Systems are able to perform. 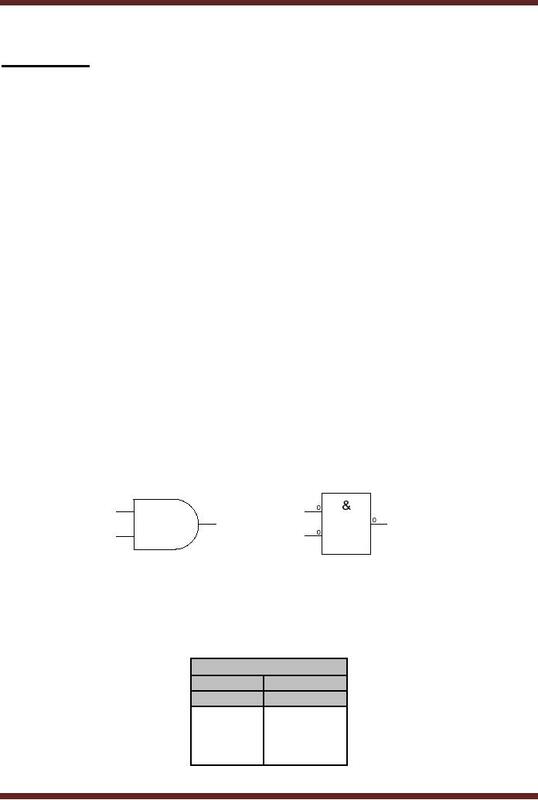 function of a digital circuit. described in terms of an expression. time or sequence of input signals. The three fundamental Gates are the AND, OR and NOT Gates. combinations the output is zero. time intervals is shown in the diagram. 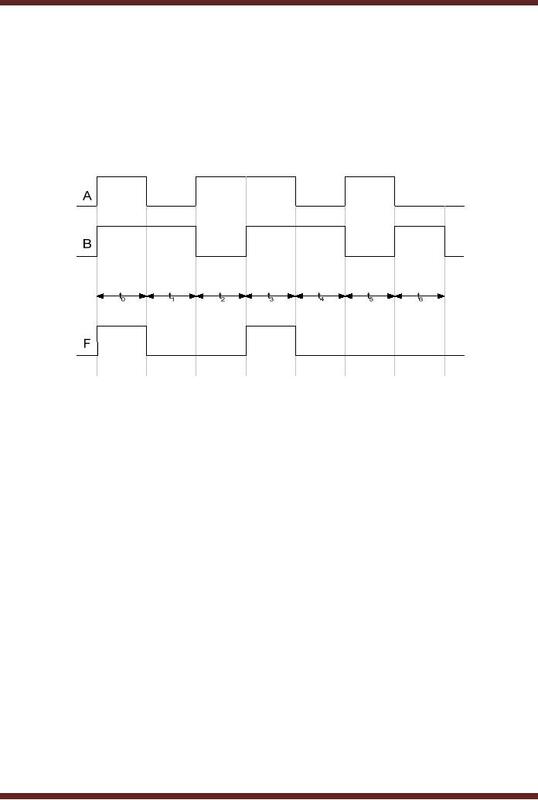 Figure 5.3.
device increments its current count value to the next when it receives a pulse at its clock input. 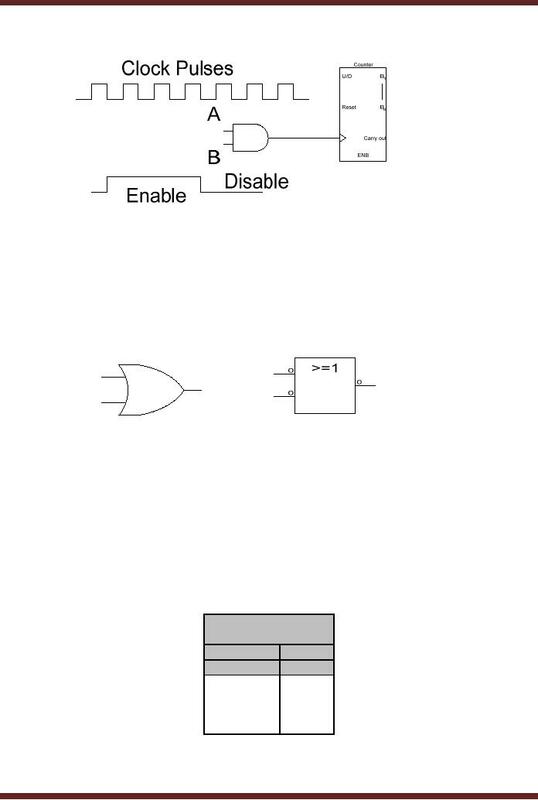 enable/disable signal ay Input B is set to 0.
clock signal at Output of the AND gate follows the clock signal at Input A of the AND Gate. 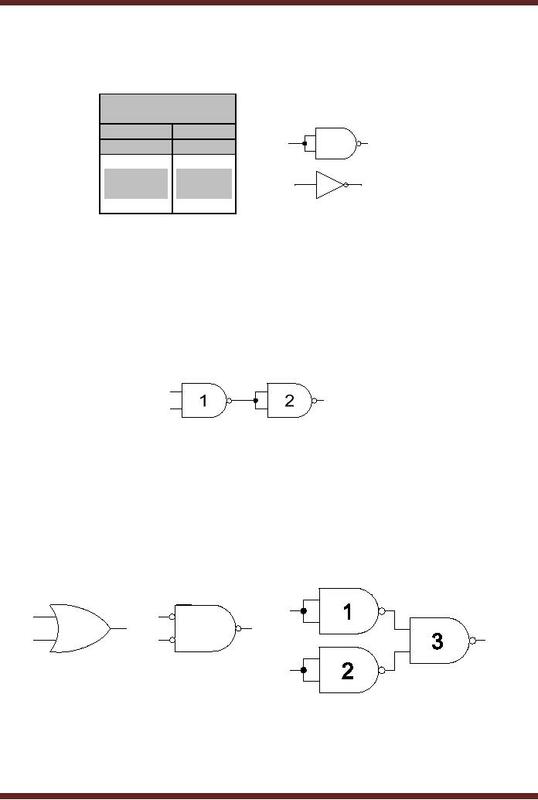 represented by symbols as shown in figure 5.5.
input OR Gate. Figure 5.6. The function table for a 3, 4 or multiple input OR Gate is similar. The output is 1 when any one input is at logic level 1. 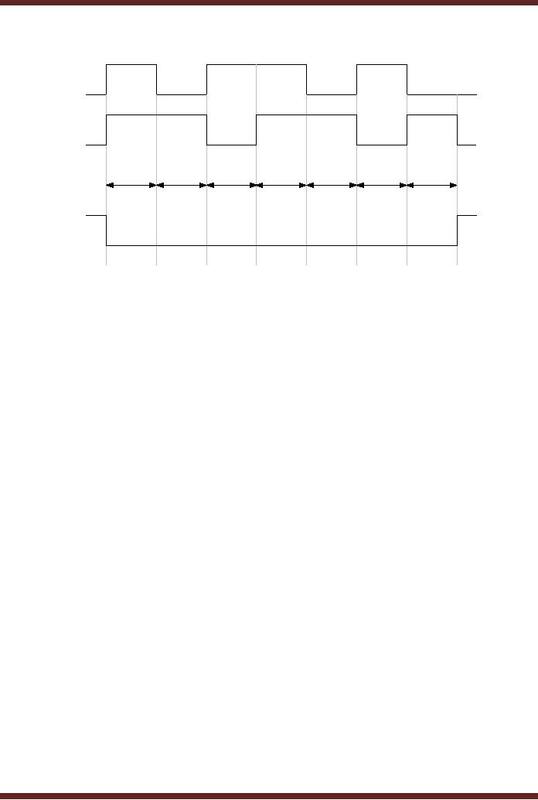 The output is 0 when all inputs are zero. 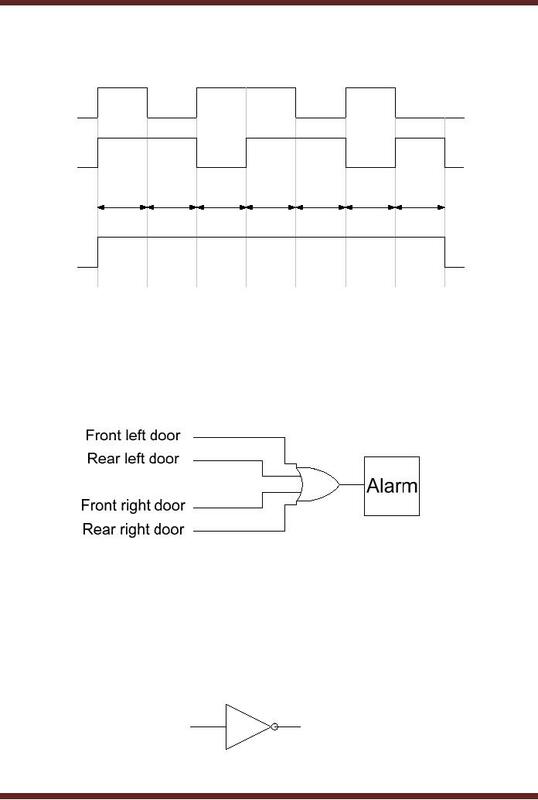 `+' is an OR Operator and the expression represents an OR operation between inputs A and B.
time intervals is shown in the diagram 5.7.
gate is connected to an Alarm. 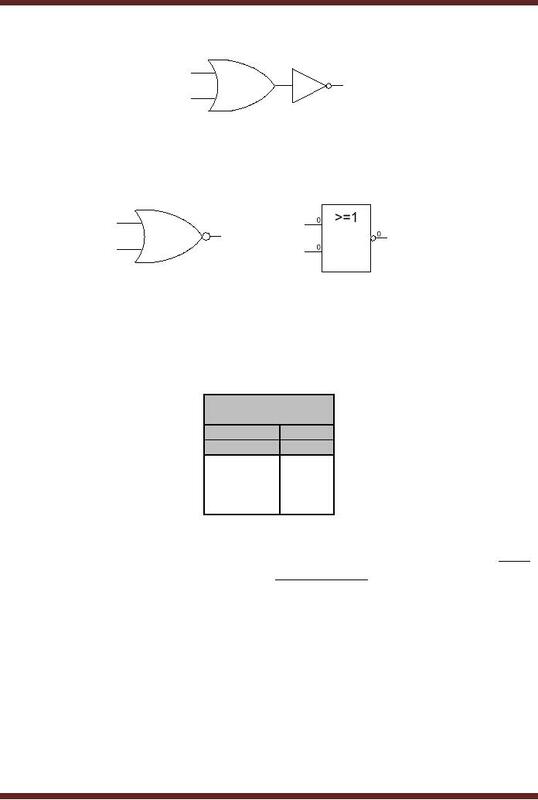 NOT Gate is represented by the symbol shown in Figure 5.9.
the Truth Table represented in Figure 5.10.
intervals and its corresponding output is shown in the Figure 5.11.
requirements of another circuit which requires the signal to be `0'. 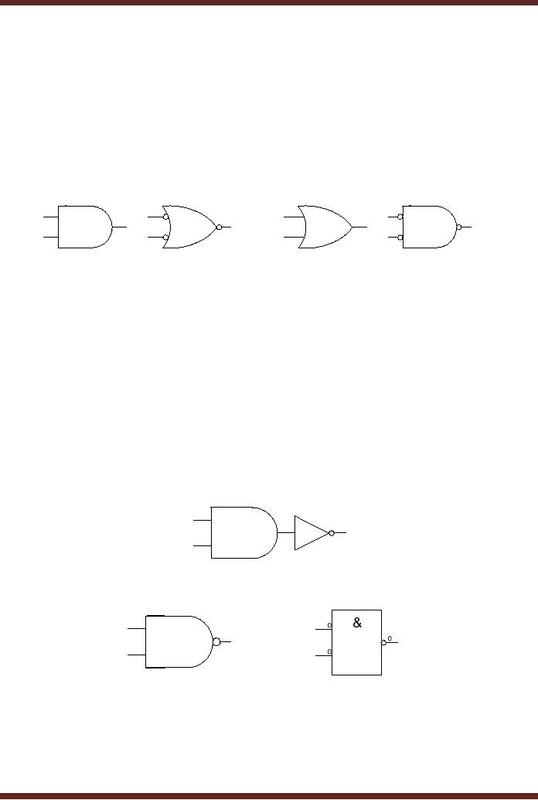 other important gates that are commonly used in Digital Logic are the NAND and NOR Gates. function and the NOR gate performs the OR-NOT function. fundamental symbols, the AND Gate symbol and the OR gate symbol complement each other. complementary symbol are inverted by placing or removing bubbles. 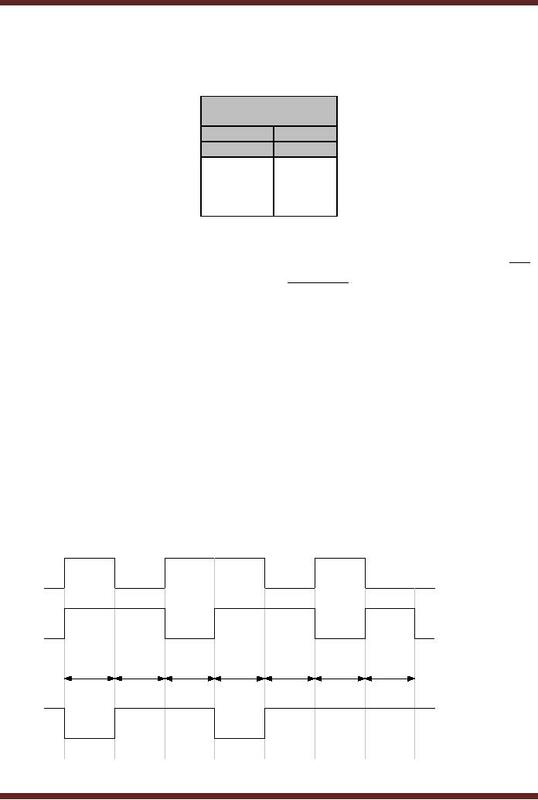 Figure 5.13. Digital Logic terminology a `bubble'. The expression describing the operation of the two inputs NAND Gate is F = A.B . 7 time intervals is shown in the diagram. 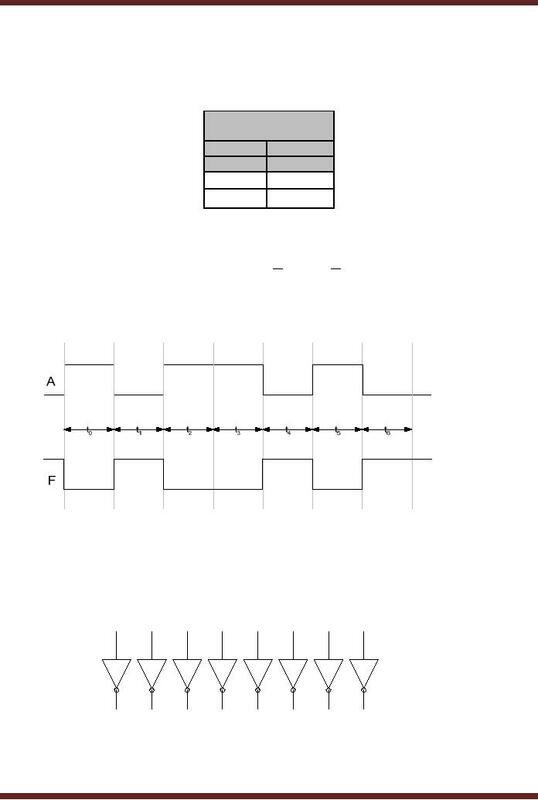 Figure 5.17.
combination to perform the function of a AND, OR and NOT gates. connected to the output of a NAND gate (1). Figure 5.19. NOT gate connected at the output of the OR gate is represented by a circle. The expression describing the operation of the two inputs NOR Gate is F = A + B .
time intervals is shown in the diagram. Figure 5.24.